Who else has been bit by the spring cleaning bug? Before it gets too warm and I feel compelled to work in the yard, I like to give the house a once over and hit the spots that tend to get ignored when the basic daily cleaning happens. 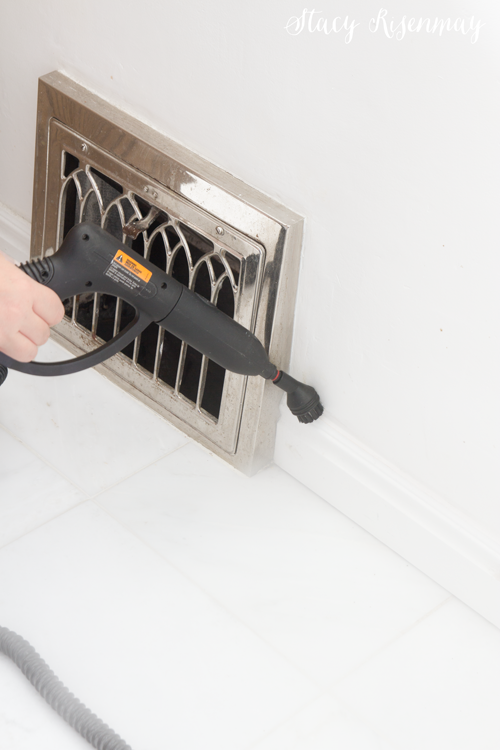 Here are some of my favorite places to use the SteamMachine! 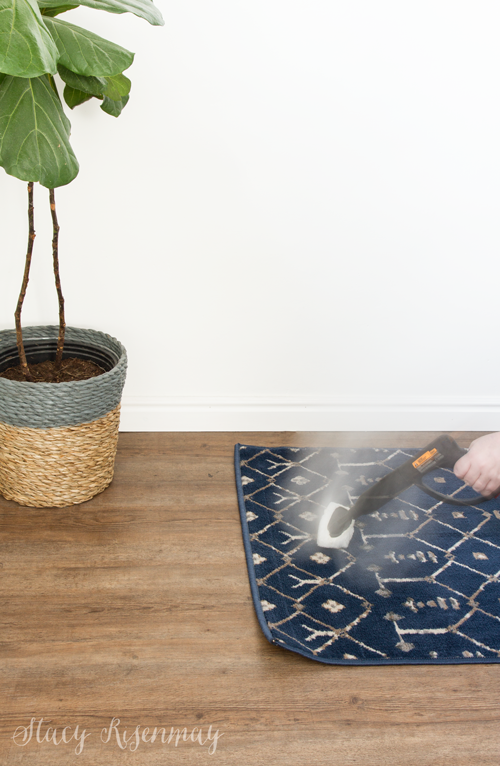 Spot cleaning rugs is a breeze with the SteamMachine! Window tracks can get so dirty! Before I got the SteamMachine, I could only wipe them out with a rag and get some of the dirt. Now with the nozzle tip, I can get in all the cracks! 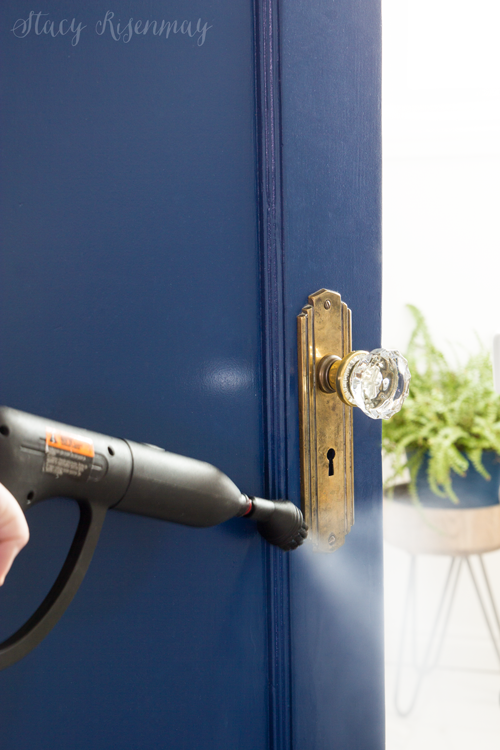 It makes my germaphobe heart happy to steam away the germs on door knobs. Plus, my door knob plates have groves and the plastic scrub brush attachment can into them as well to get anything my kids' stick hands may have left behind. Baseboards get dusty prettyquickly at our house. While I am down there getting them, I go ahead and steam the vent covers and tile grout as well. 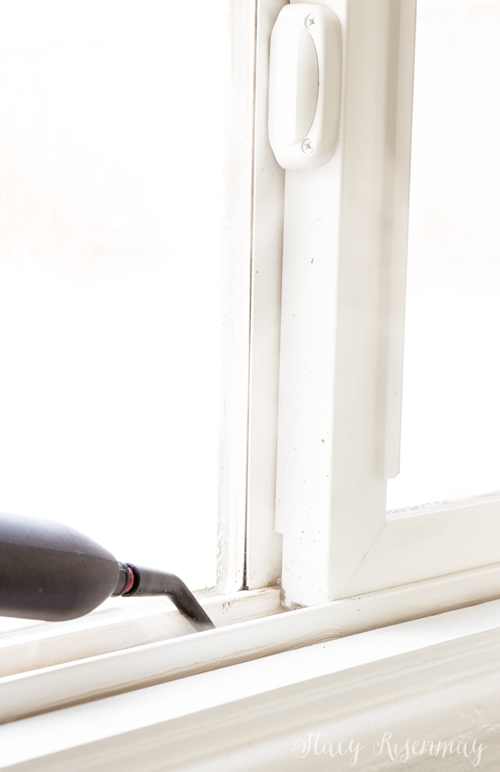 Any molding detail on doors, cabinets, or board and batten can also be dust collectors. Scrub and steam and them wipe it away! 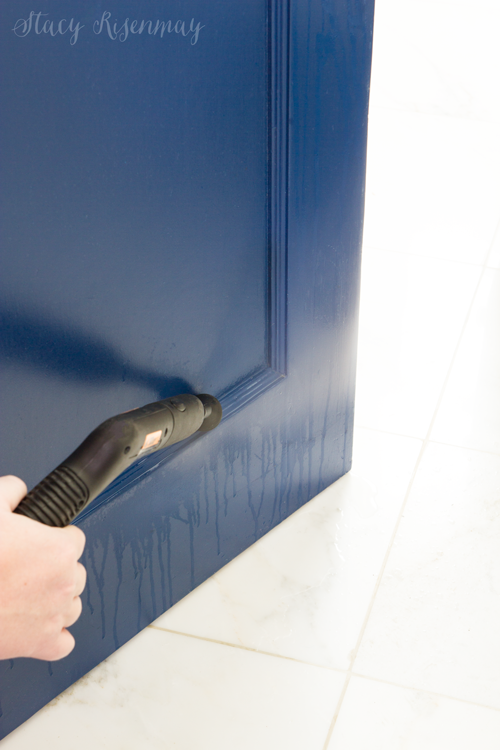 What is the one place that you have a hard time cleaning that you think the SteamMachine would help? Pin this project to save for later!